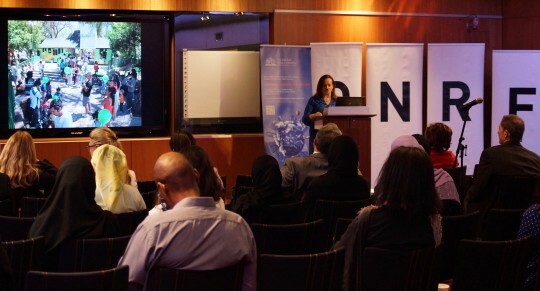 Lucy Bullivant, speaking at the Sustainable Urbanism: New Directions Workshop, Qatar University, 21 March 2016, © Qatar University. New commons created by and for citizens through participatory placemaking practices help to counter a discriminatory market, maintains place vision strategist, curator, author and founder of Urbanista.org Dr. Lucy Bullivant, and affirm an alternative model of society based on greater self-reliance – and self-determination. Growing urbanisation and complexity and deteriorating ecosystems affecting cities and their regions make these locations the nexus of mankind’s challenges and opportunities. Top-down masterplanning and conventional policymaking are not delivering the systemic changes needed to secure better living conditions for the 90%, and public health, social equity and environmental conservation across the globe are not high priorities. The burgeoning practice of participatory placemaking, combining bottom-up and top-down thinking, is regenerating neighbourhoods affected by financial and social segregation. With individuals and groups at the heart of urban renewal, resilience can be built from the ground up through a range of innovative approaches, maximising social and environmental capital and creating more equitable and satisfying places. These are the arguments put forward in Recoded City: Co-Creating Urban Futures (Routledge, 2016), the book I co-authored with the regeneration architect and impact entrepreneur Thomas Ermacora, based on our original global research over the last three years and Ermacora’s participatory work internationally extending over a decade. It also draws on my extensive research over more than six years of adaptable planning models, crystallised in my book Masterplanning Futures (2012), which won the Urban Design Group Book of the Year in 2014, and included a whole chapter about the Musheireb plan for Doha. Without appropriate and scalable strategies, public health, economic vitality, political stability and environmental conservation across the globe will be significantly impacted. But new mindsets, methods, tools and technologies can create a renaissance in urban sustainability. As Recoded City shows, localist design strategies and interventions are already forging new stakeholder dynamics, and through various collaboration processes and sophisticated DIY approaches that make more with less, are solving problems everywhere. 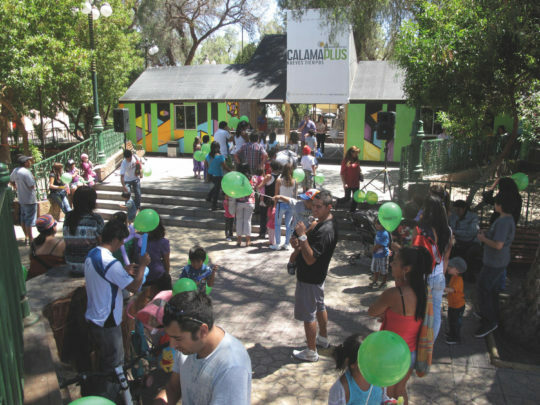 Participatory placemaking, which Ermacora terms ‘recoding’, combines bottom-up and top-down thinking. Through its ways and means of regenerating and rebalancing neighbourhoods affected by financial or social segregation, it represents a new standard for urban design. As the Italian architect Giancarlo di Carlo once stated, ‘architecture is the art of processes’, and new tools and a capacity to adapt processes and invent new ones are at the forefront of urban design’s challenges across all continents. Today’s radically different placemaking landscape puts individuals and groups at the heart of urban renewal, helping to build resilience from the ground up and nurturing what we define as ‘place capital’ for the benefit of all. 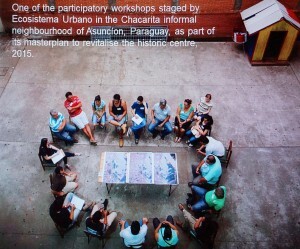 One of the participatory workshops staged by Ecosystem Urbano, 2015, in the Chacarita informal neighbourhood, Asunción, Paraquay, part of the revitalisation masterplan for the historic centre, © Ecosystema Urbano. Calama PLUS, Calama, Chiles, Elemental and Tironi, 2012-. Photo © Elemental. Recoded City critically investigates participatory placemaking’s topical themes, charting its historical rise in society, and exploring adaptive, inclusive practices across cultures, including future-proofing and rebuilding from disaster. We discuss new collaborative, distributed governance and welfare models as emerging platforms of the open society, the democratisation of technology, ‘wiki culture’ and art as a community actor. 4D Hyperlocal: A Cultural Toolkit for the Open-Source City (AD/Wiley, Jan/Feb 2017, a multi-author publication created by me as guest editor) investigates the evolution of new geolocal tools set to revolutionalise the working methods and practice of urban design and planning. A new ‘hyper-local’ mode of design is being made possible via geolocation technologies and GPS-enabled mobile devices, supporting interaction with social hubs through open-source access. Based on real-time analysis of how both urban and rural environments function, and individuals’ responses and perceptions, as well as patterns of ecology, it facilitates a new immediacy and responsiveness to all kinds of contexts. Recoded City is similarly focused on the interactive and inter-agency collaborative space between the purely top-down approaches and bottom-up initiatives alone, which needs more attention. It consequently sheds light for all participatory placemakers, as well as those entering the field, on issues including appropriate funding models, priorities of best practice in participatory placemaking, the nurturing of local assets, evaluation processes, and how to consider legacy. Dr. Lucy Bullivant Hon FRIBA is a place vision strategist, curator, award-winning author, lecturer and consultant, and founder and Editor-in-chief of Urbanista.org. She is a Built Environment Expert for the UK’s Design Council Cabe, and was made an Honorary Fellow of the Royal Institute of British Architects in 2010 for her services to architecture globally. She is place vision strategist for Enfield Council (Meridian Water). Her books include Recoded City: Co-Creating Urban Futures, on participatory placemaking, co-authored with Thomas Ermacora (2015), Masterplanning Futures (2012), which won Book of the Year at the Urban Design Group Awards in 2014, New Arcadians (2012), Responsive Environments: Architecture, Art and Design (2006) and Anglo Files: UK architecture’s rising generation (2005). She is Guest Editor of 4d Hyperlocal: A Cultural Toolkit for the Open-Source City, the Jan/Feb 2017 issue of AD magazine, and a contributor to leading architectural titles globally, including Architectural Review, and The Guardian newspaper. In 2014-15 she curated ‘Urbanistas: Women Innovators in Architecture, Landscape and Urban Design’, an exhibition for Roca London Gallery, currently on UK tour; and ‘Remake – We Make: Frameworks for Social and Cultural Exchange’, exhibited at the Bi-City Biennale of Urbanism and Architecture, Shenzhen, China, Dec 2015-Feb 2016. She regularly gives keynotes internationally at events including the Nordic Urban Lab (2018), CIAM6 (2017), the Synthesis conference of the Col-legi d’Arquitectes de Catalunya (2016) and World Cities Culture Shanghai Symposium 2016.